Egypt has withdrawn from Non-Proliferation Treaty (NPT) talks in Geneva in protest over the failure of the international community to implement a resolution for a Middle East free of nuclear weapons. On Monday, Egypt’s Foreign Ministry issued a statement saying the country ended its participation in the two-week talks over other nations’ failure to implement the 1995 resolution, which calls for the creation of a nuclear-weapon-free zone in the region. “We can’t wait forever for the implementation of this decision,” the ministry’s statement said. The walkout was meant "to send a strong message of non-acceptance of the continued lack of seriousness in dealing with the establishment of a nuclear-free zone in the Middle East," the statement pointed out. The second session of the Preparatory Committee for the 2015 Review Conference of the Parties to the Treaty on the Non-Proliferation of Nuclear Weapons started on April 22 and will continue until May 3 in Geneva. The meeting is to review progress in implementing the 1970 NPT, a treaty to prevent the spread of nuclear weapons and weapons technology, to promote cooperation in the peaceful uses of nuclear energy and to further the goal of achieving nuclear disarmament and general and complete disarmament. "However, more than 30 years later, one country in the Middle East, namely Israel, remains outside the NPT," he said. 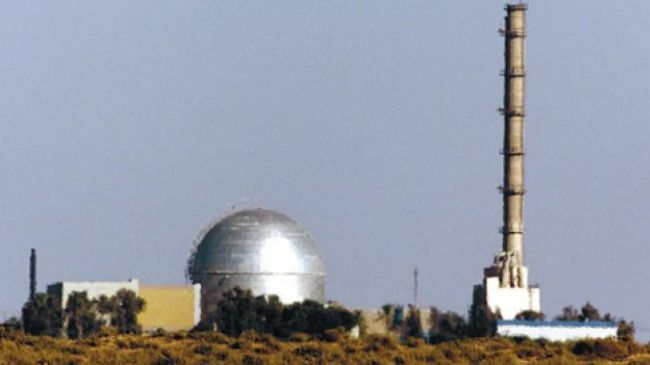 Cairo has time and again urged Tel Aviv to sign the NPT and allow the International Atomic Energy Agency (IAEA) to inspect its nuclear facilities, a call rejected by Israel. Israel reportedly maintains between 200 and 400 atomic warheads, but under its policy of so-called nuclear ambiguity, it has never denied nor confirmed its possession of the weapons of mass destruction. Furthermore, the regime has never allowed any international inspection of its nuclear facilities. Tel Aviv has also refused to join the IAEA, which limits members to civilian uses of nuclear technology. Hamas urged Egypt on Tuesday to pressure Israel to stay committed to a truce deal signed last November, after an earlier airstrike killed a man in Gaza City. "This Israeli aggression is dangerous and unjustified, they want to kill our nation and increase their suffering and fear," Hamas spokesman Fawzi Barhoum said. 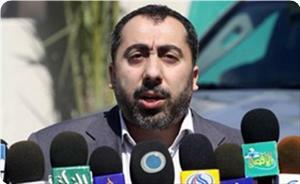 Barhoum also condemned Israeli aggression against farmers, fishermen and civilians in Gaza. National and Islamic Forces called on the Arab Republic of Egypt to compel Israel to abide by the truce and stop violating it, and to continue its efforts to end the division and achieve Palestinian reconciliation. This came during a special meeting held by the National and Islamic Forces on Monday to discuss the current developments, particularly the developments in the national reconciliation file and the Israeli threats to the Palestinian people. The forces stressed the need to accelerate the implementation of what has been agreed upon in Cairo and Doha to ensure the end of the division, the restoration of national unity and the formation of a national consensus government. They also demanded the interim leadership framework of the Palestinian Liberation Organization (PLO) to hold a meeting to discuss ways of implementing the reconciliation agreement and to determine the date of the elections. National and Islamic Forces have also discussed during their meeting the recent Israeli escalations against the Palestinian people in general and the Gaza Strip in particular, and held the occupation responsibility for all the repercussions arising there from. The factions urged the international community to intervene to stop the escalation, and called on Egypt to continue its role in obliging the occupation to abide by the truce agreement. 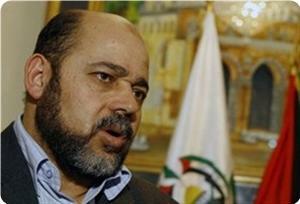 Fawzi Barhoum, a Hamas spokesman, has charged that the Israeli military escalation against the Gaza Strip was “serious and unjustified”. He told the PIC on Tuesday that targeting a Palestinian citizen in central Gaza earlier today was meant to create tension with Gaza in a bid to cover up for the unprecedented escalation in Judaization efforts in occupied Jerusalem. Barhoum held the Israeli occupation government fully responsible for consequences of that escalation. For his part, Taher Al-Nunu, the Gaza government’s spokesman, denounced the aerial attack that killed a Palestinian man and wounded two others. He warned Israel, in a statement to Quds Press, of the repercussions of such a serious escalation, describing it as the most serious violation since the end of the war on Gaza last November. Nunu called on Cairo to assume its responsibility and force Israel to abide by the calm agreement signed with the Palestinian resistance under Egyptian auspices. Egyptian security forces detained eight Palestinian smugglers on Saturday in a border area near the Gaza Strip, security sources said. 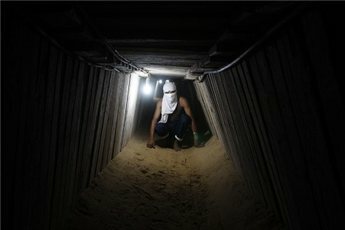 Security forces raided a smuggling tunnel in the Rafah area, arresting the men and seizing a truck carrying 22 liters of fuel, a fuel pump, and a hose, security sources told Ma'an. The smugglers were transferred to the custody of Egyptian security forces for investigation. Earlier, Egyptian forces arrested Yousef Omran Abu Eid, 20, after he entered Egypt illegally from the Gaza Strip through smuggling tunnels. An Egyptian man has confessed to passing on military and political information to Israel's Mossad spy agency, Egyptian security sources said Wednesday. The Bedouin man, identified only as Auda T, told Egyptian security forces that he provided Mossad with details about demonstrations and protests throughout Egypt. The suspect, 35, also said he obtained samples of missiles used by Hamas' military wing, the Al-Qassam Brigades. He told interrogators that he received $300 for each piece of information he passed on to Mossad and $1,000 for each photo he sent detailing military sites and army activity in Sinai. Egyptian forces arrested the man on Sunday and say he is the main suspect in a network of eight members passing information to Israel. Israeli citizen Ouda Tarabin, who has been serving time in an Egyptian prison for over 12 years on charges of spying for Israel, launched a hunger strike on Tuesday in protest of his imprisonment since the year 2000. Tarabin, who at the time was sentenced to 15 years in jail, sent a two-page handwritten letter to Israeli ambassador in Cairo Yaakov Amitai in which he wrote: "I ask the honorable sir, by virtue of his being an ambassador of the State of Israel and the prime minister's representative in Egypt, to pass this information of my hunger strike to Prime Minister Benjamin Netanyahu and to Egyptian President Mohamed Morsi." Tarabin, a resident of the Bedouin city of Rahat in south Israel, was convicted by an Egyptian court of assisting to gather intelligence. But as opposed to the case of Azzam Azzam, his trial was held in absentia, without Tarabin's knowledge, while he resided in Israel. In the past few years, there were quite a few attempts to complete a prisoner exchange deal between Israel and Egypt in which Tarabin would be returned in exchange for dozens of Egyptian prisoners held in Israel, but no such deal has been made as of yet. Tarabin explained in a letter that the sentencing was held "without giving me the legal opportunity or right that I am entitled to in accordance with the United Nations Human Rights Charter and the International Covenant on Civil and Political Rights to defend myself based on the accusation attributed to me, to appeal it and to hold a lawful and just trial." In the letter, Tarabin accused Israel of "violating its legal and moral obligations regarding my rights and my freedom and in refraining from seriously acting to release me from prison when it knows full well that I am innocent of the accusation attributed to me." In the letter, Tarabin blamed Egypt for violating its international obligations and the peace agreement with Israel according to which "Egypt will defend the rights and freedoms of Israel's citizens while they are present in Egyptian territory and even in a situation in which people are accused of crimes on Egyptian soil." "I am the only one to pay the price of revenge and hatred towards Israel and its prime minister on the part of the Egyptian government and the person who heads it," wrote Tarabin, who asked that the prime minister appeal to the UN Security Council and submit a complaint against Egypt and also to file a claim with the International Court. Tarabin also made it clear in his letter that "I will continue, if Allah so wishes, with my hunger strike until this issue will be resolved and I will be released from this discrimination." Attorney Yitzhak Meltzer, who is representing Tarabin, said in response to his client's hunger strike that "Ouda Tarabin's family and I blame the Egyptian government for leading him to launch a hunger strike in an act of desperation in light of the Egyptian government's obtuseness." Speaking to Ynet, the attorney called upon Egypt to "reconsider before causing any damage to Ouda Tarabin's health as a result of the hunger strike. "All Egypt must do is release Ouda Tarbin without delay in accordance with the resolutions of the United Nations Human Rights Council's Working Group on Arbitrary Detention in Geneva," added Attorney Meltzer. An Egyptian security source relayed on Wednesday to the Palestinian Maan news agency new details which he claims surfaced in the interrogation of the man arrested a few days ago in the Sinai Peninsula. The man allegedly stood at the head of a spy network, working in Israel's favor there. The source said that the accused is a 35-year-old Bedouin who admitted in his interrogation to passing along military, political and economic information to the Mossad. The source told the Palestinian news agency that the information the man supplied revolved around protests that occurred in Egypt. In addition he was expected to attain missiles of the kind used by Hamas against Israel. According to this source, the man lives in Rafah and receives $300 in exchange for each piece of information he passes and $1,000 for every important picture. 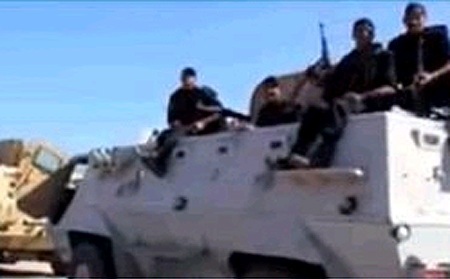 Information on the movement and equipment of the Egyptian army in Sinai is reportedly given the highest prority. Last Sunday, Major-General Samih Ahmad Bashadi, head of security in northern Sinai confirmed the reports according to which a spy network that operated in the area for Israel was discovered. On the same day, the Egyptian governmental newspaper al-Akhbar reported that this is a network that was revealed by the Egyptian security and included eight Egyptian and Palestinian citizens. The same report claimed that the search for the man took four months, as he moved between Cairo and north Sinai. The report also said that the main defendant was confirmed by recordings of a phone conversation he held with Egyptian figures and with Mossad sources. The network was discovered a few days after Grad rockets were fired from Sinai at Eilat. Hours after the firing, the Salafi extremist group that operates in the Gaza Strip and in Sinai, the Mujahideen Shura Council of Jerusalem, released footage of the rocket fire. On Thursday, Egypt will celebrate the "anniversary of the liberation of Sinai" in which the Egyptians commemorate the withdrawal of the last Israeli soldier from the Sinai Peninsula. 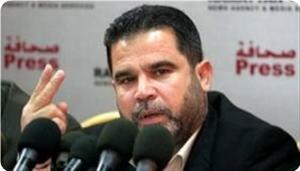 Dr. Salah Al-Bardawil, a Hamas leader, has said that Palestinian resistance factions were taking Israeli threats to invade Gaza seriously. Bardawil was quoted by Rai news agency on Tuesday as saying that the resistance factions are working day and night to confront any such military adventure. He opined, however, that Israeli chief of staff Benny Gantz’s threats to attack Gaza were psychological warfare. The Hamas leader ruled out an imminent Israeli war on Gaza, explaining that regional developments and Israeli fear of resistance impede such an aggression. Bardawil said that Palestinian factions were still abiding by the calm agreement brokered by Egypt and were monitoring Israeli violations and reporting them to the Egyptian patron of the agreement. The Gaza government of Ismail Haneyya has categorically denied Israeli allegations that elements from Gaza infiltrated into the Egyptian Sinai desert and fired rockets at Eilat. Taher Al-Nunu, the government’s spokesman, said in a terse statement on Sunday that the remarks by Israeli premier Benjamin Netanyahu constituted clear provocation against the Gaza Strip. Nunu asked the “brothers in Egypt” to intervene and end such provocation and restrain the Israeli aggressive intentions against the coastal enclave. Dr. Sami Abu Zuhri, a Hamas spokesman in Gaza, said that Israel’s threats to invade the Gaza Strip reflected the criminal nature of its new coalition government. The spokesman told Quds Press on Sunday that the threats against Gaza reflected that new government’s program of escalation against the Palestinian people and its policy of aggression, murder, and destruction. Abu Zuhri, however, said that Israeli threats did not terrorize the Palestinian people or Hamas movement, adding that the Palestinian factions would defend the people with all available means. 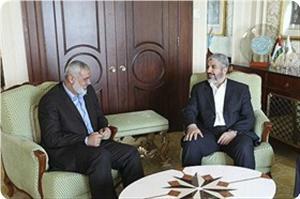 He asked the regional and international parties concerned to intervene and bridle the Israeli escalation. Israeli officials have been voicing threats over the past few weeks to launch a new war on the coastal enclave at the pretext that Palestinian factions were recurrently violating the calm agreement brokered by Egypt last November. Israeli Prime Minister Benjamin Netanyahu on Sunday vowed Israel would "exact a price" from the Gaza militants who recently fired missiles from Sinai at the southern resort city of Eilat. "Last week missiles were fired from Sinai at Eilat," Netanyahu said at the start of his weekly cabinet meeting shortly before the arrival of US Defense Secretary Chuck Hagel for a three-day visit. 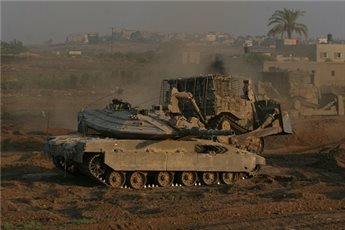 "Those who fired them are apparently a terror squad that departed Gaza and used the territory of Sinai to attack an Israeli city. "We will not accept this and we will exact a price -- this has been our consistent policy the past four years and it will serve us in this case as well," he said in remarks relayed by his bureau. On Wednesday, militants fired two rockets from Egypt's Sinai Peninsula at Eilat which hit inside the city but caused no casualties. The attack was claimed by a Gaza-based Salafi group called the Mujahedeen Shura Council, which has in recent months fired rockets from Gaza into Israel. The security situation in Sinai was likely to be one of the topics raised in Netanyahu's talks with Hagel when the two meet on Tuesday, press reports said. Eilat has been hit by intermittent rocket fire from Sinai over the past few years. The last attack was in August 2012 when militants from another Salafist group called Ansar Beit al-Maqdis fired two rockets at the city without causing injuries. 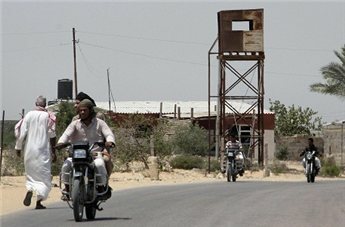 Since the ouster of former Egyptian president Hosni Mubarak in February 2011, Israel's border with Sinai has seen multiple security incidents, with militants using the lawless peninsula to stage attacks. There has also been an uptick in rocket fire from Gaza in the last two months, with several attacks claimed by Salafist militants. Israel police said another rocket hit southern Israel overnight without causing casualties or damage. There was no immediate claim of responsibility. Until the end of February, the Israel-Gaza border was completely quiet after an Egyptian-brokered truce ended eight days of deadly fighting between Israel and militants from Gaza's ruling Hamas movement. For the most part, Israel has responded with restraint, staging only one night of air strikes on Gaza on April 3, which caused no injuries. Gavriel Avo tells Egyptian authorities he was trying to reach tomb of Yaakov Abuhatzeira. An Egyptian court has sentenced an Israeli citizen in his 30s to two years in prison after he was convicted of illegal infiltration into Egypt, Yedioth Ahronoth reported. Gavriel Avo was arrested a month ago while trying to infiltrate into Taba via the border in Eilat. During questioning he said he was trying to reach the tomb of Yaakov Abuhatzeira which is located half way between Cairo and Alexandria. Avo also told investigators he has plans to move to Morocco. Avo is the third Israeli citizen to be jailed for illegal infiltration in Egypt in the past couple of months. 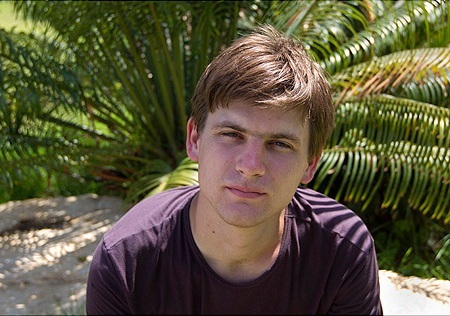 Less than two months ago a court in Nuweiba sentenced Andre Pshenichnikov to two years imprisonment for infiltration. Israel's Foreign Ministry is calling on Israel to avoid crossing over into Egypt in an uncoordinated manner. "The Egyptians don't hold back even when it is obvious these are Israelis who are clearly not spies and whose motives are bizarre," one source said. "Instead of simply deporting them, as was the case before, The Egyptians are now taking a tough hand and handing out jail sentences." The Minister of Prisoners in Gaza, Dr. Attallah Abu Subbah, called on Egyptian President Mohamed Morsi and his General Intelligence Service to pressure Israel to abide by agreements it signed with the resistance and prisoners. Abu Subbah said on Sunday, during a press conference held on the occasion of the launch of the events of Palestinian Prisoners' Day, "We call on our brothers in Egypt, President Mohamed Morsi and the great Egyptian army to act to save the captives in the Zionist enemy's jails." He stressed that the occupation prison administration has been deliberately escalating its repressive procedures against the Palestinian prisoners and denying them their most basic rights. The Minister pointed out that the deportation of prisoner Samer al-Issawi, who has been on hunger strike for 268 days, to a European country is completely rejected. Dr. Mousa Abu Marzouk, political bureau member of Hamas, has asserted on Saturday night that his movement was not involved in Egyptian internal affairs. 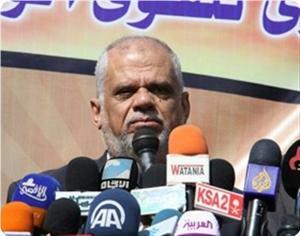 Abu Marzouk reiterated Hamas’s position of not interfering in the internal affairs of any Arab country. The Hamas leader said that his movement was striving to win the support of all political forces in its capacity as a resistance movement with the clear goal of liberating Palestinian land from Israeli occupation. Abu Marzouk was speaking during a meeting in Cairo with Dr. Younis Makhyun, the leader of the Nur Salafi party, and a number of his party leaders in line with the Hamas leader’s visits and contacts with various Egyptian political forces and parties. Palestinian Prime Minister in Gaza Ismail Haneyya discussed with the Egyptian Intelligence Minister Gen. Raafat Shehata the latest Palestinian developments especially the Israeli breaches of the truce agreement. This came during a phone call between Haneyya and Shehata on Monday evening, according to the Office of the Palestinian prime minister in Gaza. The Palestinian Premier had met Shehata during his last visit to Egypt last week, and discussed with him a series of topics, including the Palestinian reconciliation. The Israeli occupation has continued to breach the agreement it had signed with the Palestinian resistance in Gaza under Egyptian auspices. The Israeli forces have been waging raids and attacks on the Gaza Strip and imposing more restrictions on Gaza's fishing zone. 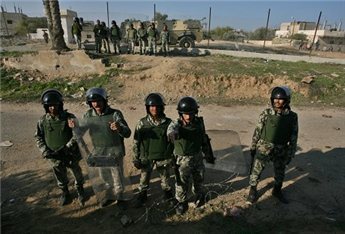 Egyptian authorities on Sunday seized two trucks carrying diesel they suspected would be smuggled into the Gaza Strip. The trucks were pulled over in El-Arish, in Sinai, carrying 3,150 liters of state-subsidized fuel without an invoice or permit, an Egyptian security officer told Ma'an. Egyptian forces arrested both drivers, he said. 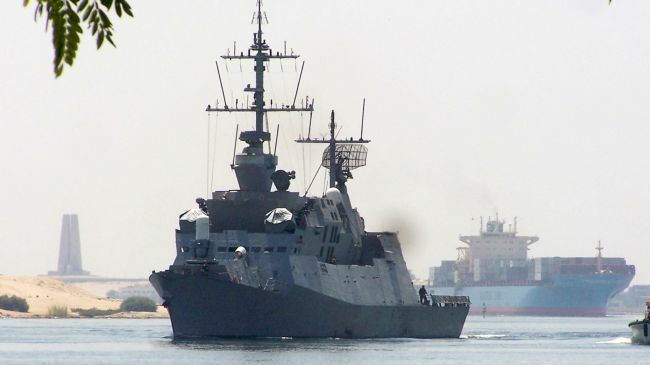 Egypt’s navy has captured a ship carrying more than a 100 crates of weapons and ammunition, which had wandered into the country’s territorial waters after departing from Israel, says one report. The capture took place on Thursday after the vessel, which was heading from the Israeli port of Eilat to Togo, strayed into Egypt’s waters, AFP reported. The report, however, said the ship was sailing under the flag of an African country. The vessel was carrying 105 crates of unspecified weapons and ammunition as well as a crew of 14, who were detained by Egypt's navy. Security officials had said the vessel would be held while authorities investigate whether it was carrying smuggled weapons. The Egyptian ministry of foreign affairs warned that the truce between the Palestinians in Gaza and the Israelis would collapse if the latter persisted in violating it. In a press statement on Wednesday, Egyptian foreign minister Mohamed Amr condemned Israel's air raids on Tuesday night on Gaza. 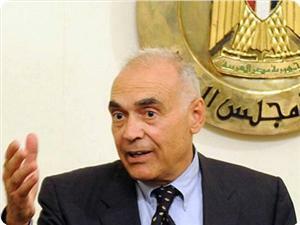 Amr said that Israel's policies would adversely affect Egypt's ongoing efforts to maintain calm in the Gaza Strip. The minister also slammed Israel's practices against the Palestinian prisoners, which led to the death of a prisoner a few days ago. He stressed the need for finding international mechanisms ending Israel's systematic violations against the Palestinian prisoners. For its part, Al-Azhar university in Egypt strongly denounced Israel's latest aerial attacks on Gaza and its ongoing violations against the Palestinian prisoners. The university appealed in a press release to the international institutions to shoulder their responsibilities and criminalize Israel's persistent violation of its truce agreement with the Palestinians in Gaza. In this regard, noted Palestinian political analysts stated in separate press statements to the Palestinian information center (PIC) that Israel's air raids on Gaza on Tuesday night were aimed to cover up its violations against the popular uprising in the West Bank. Head of Al-Mustakbal research center Ibrahim Al-Madhoun said that the Israeli military escalation was not surprising and took place as a result of the tension in the West Bank, which was caused by the death of prisoner Maisara Abu Hamdiya. Madhoun expressed his belief that the new Israeli government would be more criminal towards Gaza, especially since its war minister Moshe Ya'alon has hostile tendencies towards Gaza. Political analyst Hamza Abu Shanab, in turn, stated that the Israeli occupation tries to repeat what it had done before its last war on Gaza by carrying out preemptive strikes on resistance sites at the pretext of responding to Palestinian rocket attacks. Abu Shanab added that the Israeli occupation wants to disable the field activities of the Palestinian resistance in Gaza without engaging in direct confrontation with it as it had happened in the last war. He opined that the occupation also tries to change its rules of engagement and take advantage of the tense situation in the West Bank and the alleged rocket attacks from Gaza to achieve security gains. 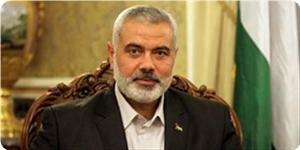 Political bureau chairman of Hamas Khaled Mishaal and Gaza premier and Hamas leader Ismail Haneyya conferred in Cairo on Sunday with Egyptian intelligence chief Rafat Shehada. Taher Al-Nunu, the government’s spokesman, said in a statement from Cairo that the discussion tackled Palestinian reconciliation and the importance of reactivating it. He told the PIC that the discussion also tackled the Israeli repeated violations of the calm agreement and denying Palestinian fishermen the agreed upon fishing area off the Gaza coast. Nunu said that the issue of Palestinian prisoners in Israeli occupation jails especially those on hunger strike were on agenda of the talks, holding Israel fully responsible for the death of any one of them. He said Egypt was called upon to follow up the agreement on prisoners with the occupation. The spokesman said that the relations between Egypt and the Hamas government in Gaza were strong, adding that Shehada expressed conviction that Hamas had nothing to do with the attack on Egyptian soldiers in Rafah refuting media claims in this regard.